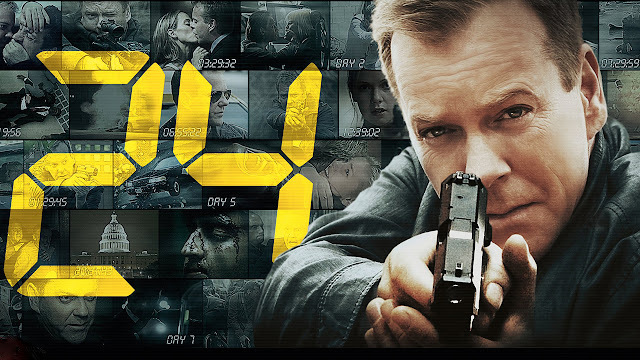 Fox has ordered a pilot for a '24' reboot without Kiefer Sutherland as Jack Bauer. It will feature an all-new cast but will keep the same format of the popular series that ran for eight seasons. The pilot will film this winter with the title "24: Legacy" and the network confirms the lead will be a person of color. No casting has been announced yet but it's refreshing that a broadcast network is actively looking to diversify their programming. Something Fox has done a better job at that than other networks, especially in their dramas. In fact, '24' gave us our first black president (President David Palmer played by Dennis Haysbert) before Barack Obama was elected. The best example, of course, is the mega-hit 'Empire' which features a predominately African-American cast and showrunners. The network is considering ordering a pilot from 'Empire' co-creator Lee Daniels for a music drama starring Queen Latifah. Dan Fogelman also has a potential pilot order for his sports drama starring a diverse lead. Producers of the original '24' Howard Gordon, Manny Coto, Evan Katz and Imagine’s Brian Grazer will return as executive producers. The premise behind '24: Legacy' involves the danger that follows the return of a military hero to the U.S. and has to seek out the CTU for protection and help stop a possible terrorist attack. The running clock is back and each show represents an hour in the day of the story. Reboots have become popular at Fox as the revival of 'X-Files' begins this month. Now if we could only get 'Firefly' back with Gina Torres and Morena Baccarin then Fox's love of reboots and diversity would be complete.